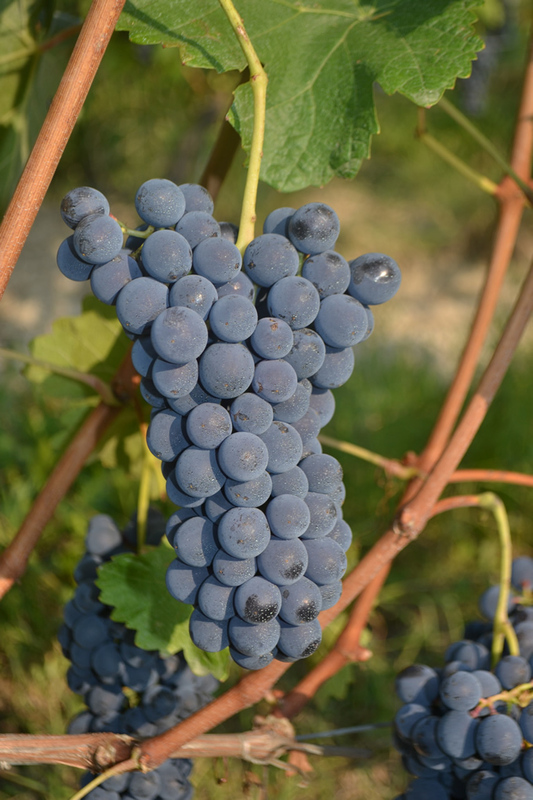 Barbera, is a typical Piedmontese wine that can be drunk in its younger version without any form of ageing, or in its more superior versions where it is put to stand for several years. It is a particularly elegant, full-bodied rich wine, much appreciated on an international scale. For decades, Barbera has represented the typical red table wine, originally sort after by the Piedmontese and Lombardy wine drinkers, to then spread throughout the whole of Italy. Today, Barbera d’Alba is considered a prestigious wine that is rich in colour (ruby- purple), has a rich and varied fragrance with notes of fruit that recall blackberries, cherries, strawberries and wild berry jam, added to spicy notes of cinnamon, vanilla and green pepper. Its deep, full and robust flavour, softens the acidity which is so typical of this vine. It can be aged in stainless-steel vats, in the bottle, or in wood. It is best paired with typical Piedmontese dishes such as roasts and risottos.